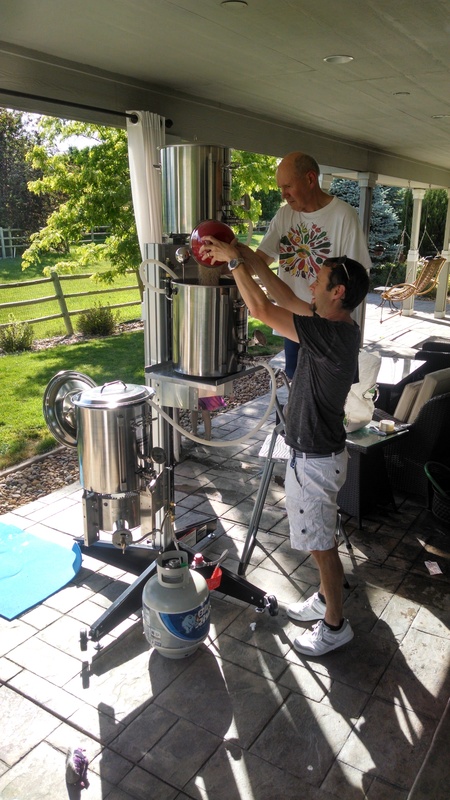 The first brew on Jon’s all grain brew tower, June 17, 2014. The goal for this lager was a light and refreshing Bavarian-style Helles. It did not go very well! 2124 Bohemian Lager (Wyeast smackpack) You will need to buy two packages or make a yeast starter to make a lager. 1. Activate the yeast you will use. Let sit for 3-4 hours. 2. Sanitize a growler bottle, rubber stopper, bubbler, scissors, and the sauce pan lid. 3. Combine 1 cup dry malt extract or liquid malt extract and 6 cups water in a clean sauce pan. Boil 15 min. 4. Cover the sauce pan with the lid and cool it in a bath. 5. Let cool to room temp then pour into sanitized jar and cover the opening with foil. 6. Sanitize the yeast smack pack, open it with scissors. Pour into the jar. 7. Seal with rubber stopper and bubbler. 8. Leave at room temp for 24-36 hours, occasionally swirling the jar to oxygenate the wort and help yeast to reproduce. 9. During yeast reproduction, the liquid will look milky. When the yeast have finished reproducing, they will fall to the bottom of the jar and the liquid will clarify. 1. While beginning the wort, cool the yeast starter to 50 degF. 2. Add 3 gals water to a pot and bring to a boil for 15 minutes to boil off chlorine, etc. 3. Remove from heat and let cool to 170 degF. 4. Add the German pilsner grain. Soak the grains for 30 -60 min between 150-170 degF. 5. Rinse and remove the grains, discard. 6. Bring the water back to boiling. 7. Add the Pilsen liquid malt extract and bring the water back to boiling. 8. Once boiling, add 1.5 oz Hallertau hops. 10. After the 45 min boil, add 1 tsp of Irish Moss (in a sock). Boil for 10 minutes. 11. Then add 1/2 oz Hallertau hops (in a sock). Boil for 5 minutes. 12. Immediately remove the Irish Moss and hops, discard. 13. Chill the wort as quickly as possible in a cold bathtub with lots of ice. Chill down to 50 degF. 14. While the wort is chilling, add 2 gallons of 50 degree tap water to the sanitized carboy. 15. Pour out excess liquid from the yeast starter jar, keeping the yeast slurry and enough liquid to help pour it out. Pitch the yeast slurry into the wort. Stir well. 16. Then pour the yeasted wort into the primary carboy (which should contain 2 gals of cool tap water). Slosh it around a bit. 17. 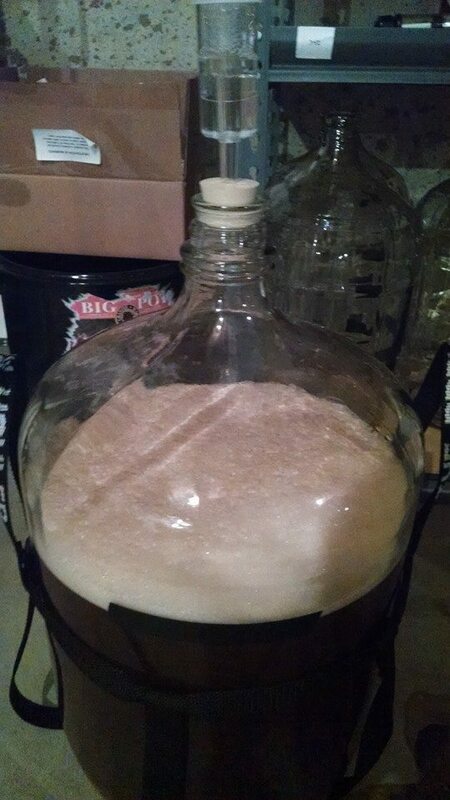 Ferment for 1-2 weeks at 50 degF until the bubbling slows and the bubble cap sinks to the bottom of the carboy. 18. Raise the temp to 55 -60 degF for 2 days to let the yeast eat the diacetyls. 19. 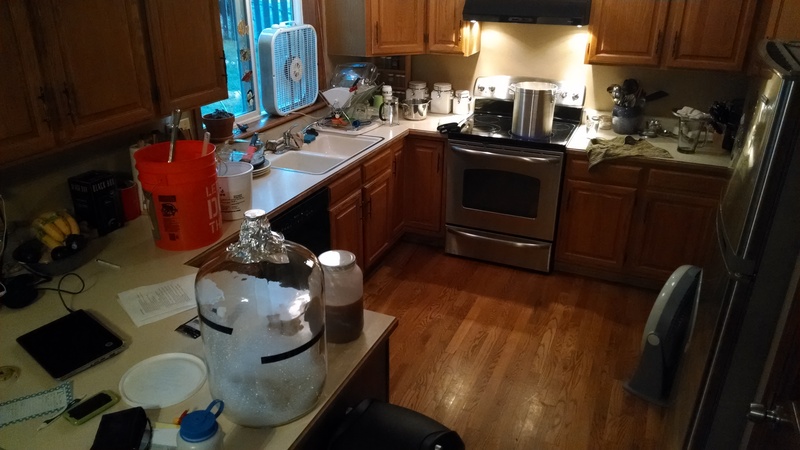 Transfer to a secondary carboy. 20. 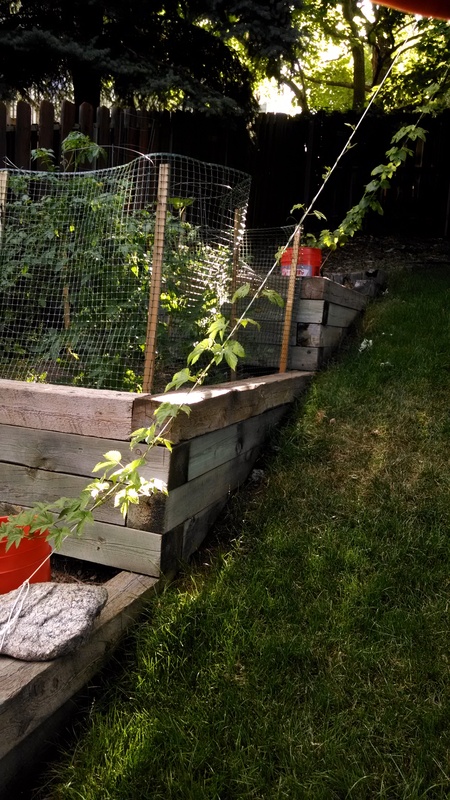 Reduce the temp by 2 degrees per day to 35 degF. Lager at 35 degF for 4 weeks.